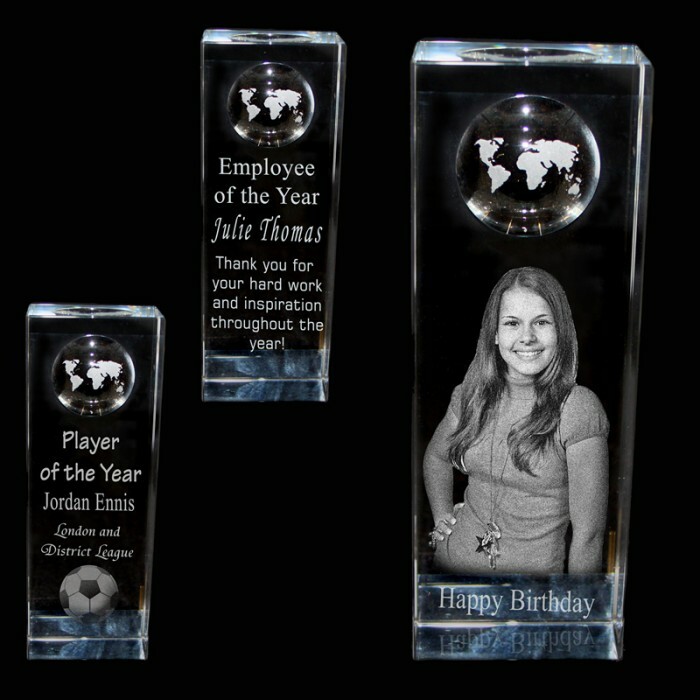 This is our Crystal Globe, which we can laser engrave *2D or 3D images, just text or a combination of both picture and text. Simply tell us your ideas and we will create for you. This Crystal has a concave image of a globe at the back, so when viewing from the front the globe appears to be 3D. There is approximately 100 x 50 x 30mm engraving area so there is room for separate images if preferred. Ideal for any award, Football, Rugby, Netball, School, Employee, Dog show or just as an awesome gift for that special person. Upload your *photo to be engraved here.